Just One Day, June 11, 2012 - "No Kill Day for Shelter Animals"
If you do not normally receive this e-mail newsletter and would like to in the future, send email to [email protected] and write SUBSCRIBE in the subject. Animals In Print provides a free newsletter for responsible animal rights advocacy. 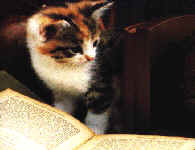 There is no expressed or implied endorsement by Animals In Print staff of articles, stories, petitions or reported activities. We exist to educate and motivate you to do all within your power to help end animal abuse and spread compassion. 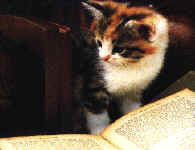 All of the beliefs, ideas, and actions presented in this publication may not necessarily represent all those held by The Mary T. and Frank L. Hoffman Family Foundation, who host and maintain this site, and who seek only peaceful means of achieving a cruelty free society and unconditional love and compassion toward the whole of God's creation.